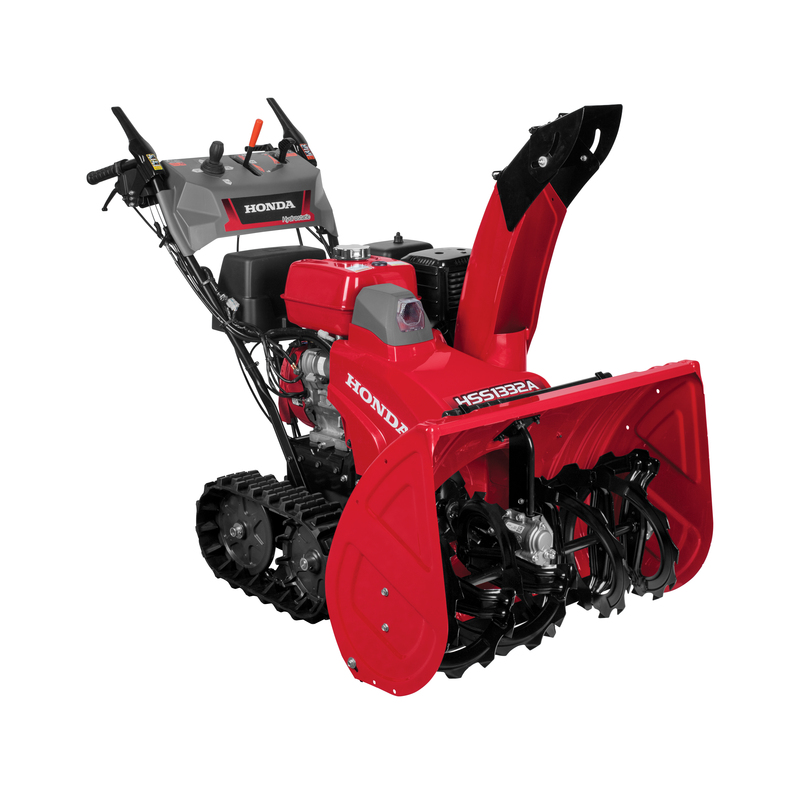 The Honda HS1332TA and HS1332TAS two-stage snowblowers improved on the extremely popular HS1132 models by adding extra horsepower for even more astounding performance under heavy load. Offered in either Recoil Start Model (TA) or Electric Start Model (TAS), both are track drive and hydrostatic. The adjustable auger housing height and the superb maneuverability of a hydrostatic transmission with instant forward and reverse make these machines ideal for large areas, inclines and even climbing steps. Transporting these units between jobs is made easier by the sure footed ability of these units the crawl up loading ramps. HondaLawnParts.com stocks only Genuine Honda Parts so the performance of your HS1132 is never compromised and the life of your unit is extended.